Classic Bus with Decals and Surfboard. 1:32 scale diecast collectible model car. 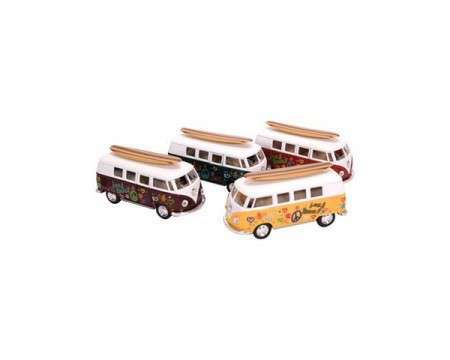 This 1962 VW Classic Bus is a 5.25" long diecast metal classic with openable passenger door & rear hatch. Each sold separately.